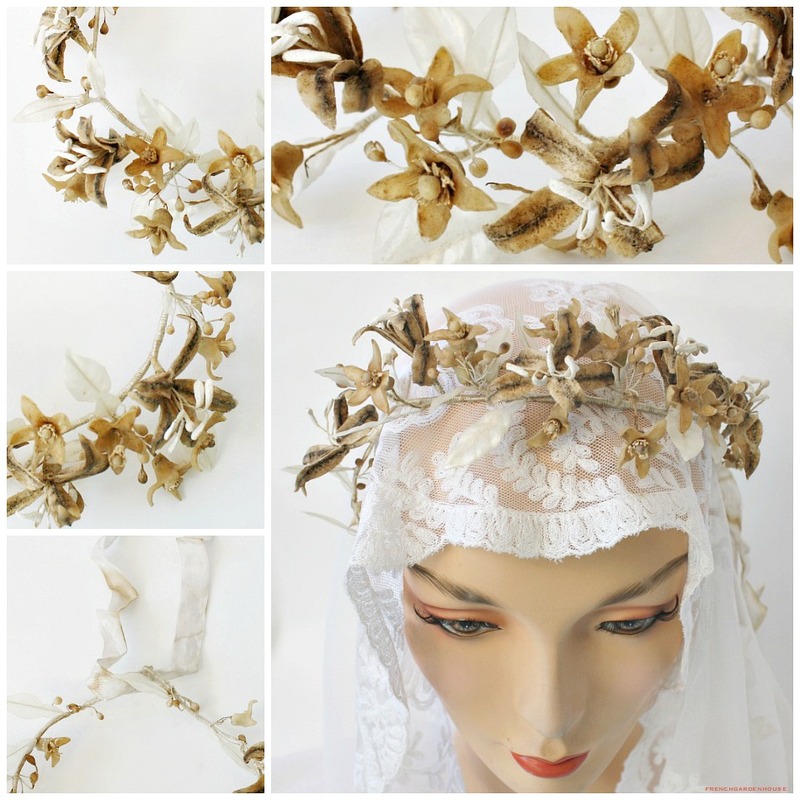 Rare 19th century French Wax Orange Blossom Wedding Tiara with large Lilies, their trembling stamens still pristine white. The wax orange blossoms have discolored, as have the lillies, they are complimented by translucent white leaves. 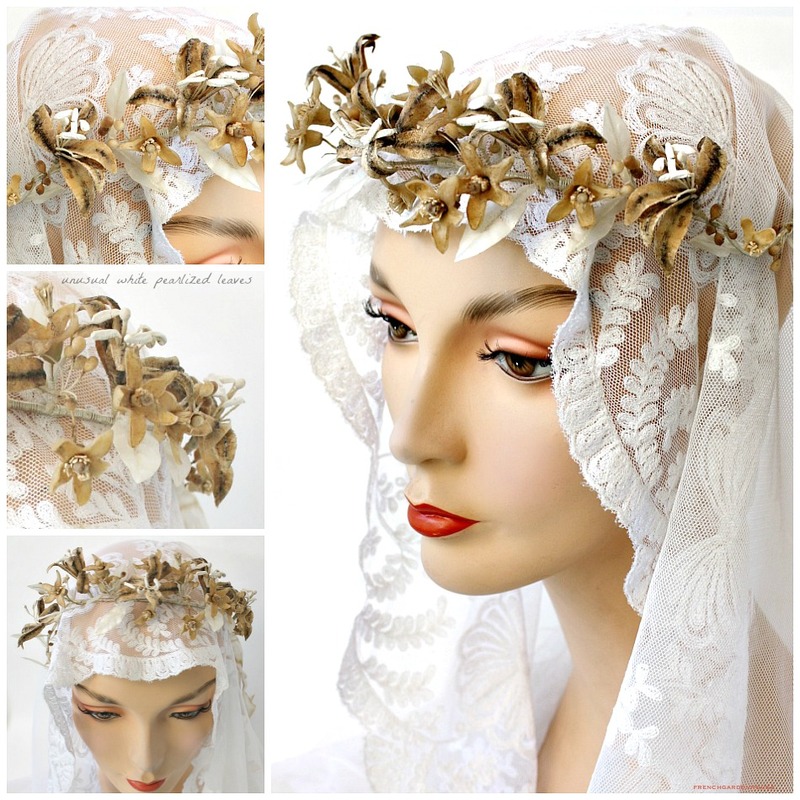 From an estate Victorian collection, this is an unusual bridal headpiece to add to your collection. 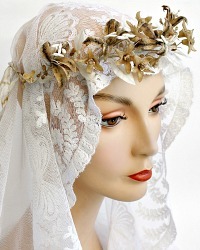 The flowers cover most of the silk wrapped wire band, the ends have loops for ribbons or hair pins. The original ribbon is there, discolored as shown. 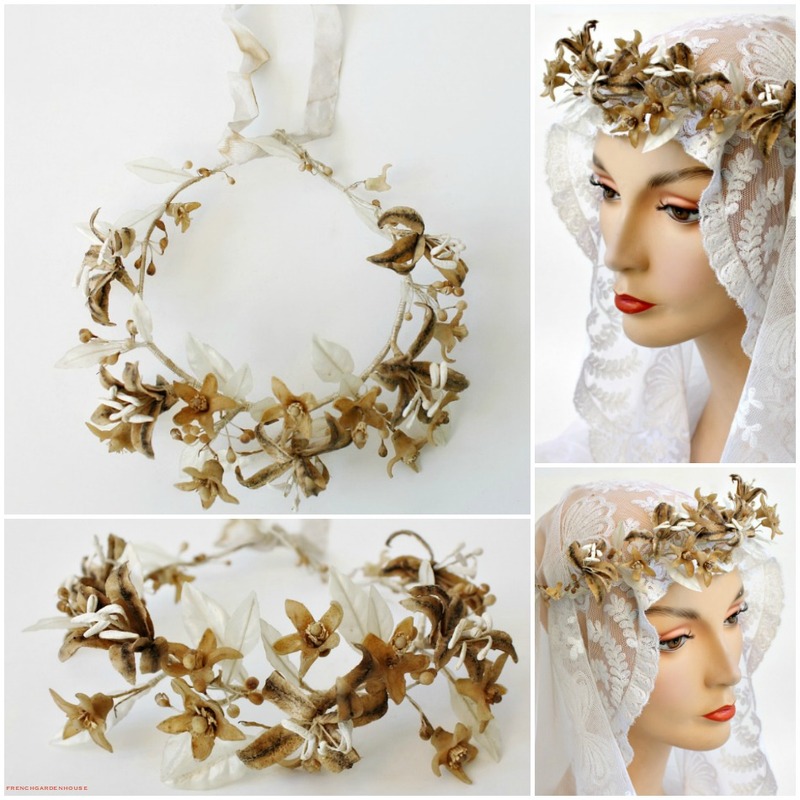 Lovingly cared for and kept, this collectable head piece is perfect to display with your collection of Antique Wedding dresses, on a mannequin or Santos, or to present to a bride. Measures 14" around inside of band, one size, adjustable.